Whatsapp business now available for all country. HomeWhatsappWhatsapp business now available for all country. 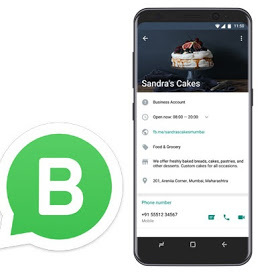 Few weeks ago whatsapp launched a business app called Whatsapp business. Which aids business owners connect with their customers all over the world but was only available in Indonesia, Italy, Mexico, the U.K. and the U.S. But the good news is that it's now available for the rest of the world. The app provides some of the basic functionality you’d want from a business app. You can create a Business profile with additional information like a description , address , and contact information , and enable quick replies for answers to common questions. You can create greeting messages and view some simple analytics so you can see which messages are most effective. Note: You cannot use the same number you used on your regular WhatsApp to register for Business app, as it will require you to use another number. You can download it from Playstore or ios store.